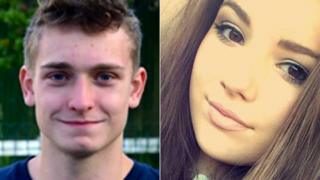 A man has been sentenced to community service after he admitted abusing and assaulting his student girlfriend, who later took her own life. Milligan admitted assault and threatening behaviour. Following sentencing, Emily's mother, Fiona Drouet, spoke of her family's struggle to come to terms with their loss. She said: "Angus Milligan has been unmasked as a vicious abuser who stole our daughter's life. He preyed on Emily's innocence and kindness and continues to lie about it, trying to destroy her reputation." Mrs Drouet said that Emily was studying law because she believed in justice and that the verdict marked her first legal victory. "No sentence Angus Milligan received can reflect the destruction he has caused or bring Emily back," she said. When asked if she will consider civil action, Mrs Drouet said that she is working with the Crown on the possibility of a fatal accident inquiry. The court previously heard how Emily had approached a student resident assistant in Aberdeen to say she was having difficulties with the way she was being treated by her boyfriend, a fellow student. Media captionFiona Drouet says Milligan has been exposed as a "monster"
Mr Milligan previously admitted that he assaulted Emily at New Carnegie Court, Hillheads Halls, on 10 March last year when he seized her by the neck, choked her, pushed her against a desk and twice slapped her on the face to her injury. He also admitted sending her offensive messages, and behaving in a threatening or abusive manner by shouting and using abusive and offensive language towards her. Emily was found dead on 18 March. At Aberdeen Sheriff Court, Milligan was ordered to carry out 180 hours of unpaid work and told he would be under supervision for one year. After sentencing, Insp Lee Jardine of Police Scotland said: "Domestic abuse is a complex issue and tackling it is an absolute priority for us in our efforts to keep people safe."